A two-fisted slugger, Johnny Coulon turned pro in 1905 just three weeks before his 16th birthday. He was born in Toronto, Canada but for most of his life he resided in Chicago. Coulon won his first 26 bouts before losing a 10-round decision to Kid Murphy. In a rematch with Murphy in 1908, Coulon reversed the decision and earned recognition as the American bantamweight champion. On March 6, 1910, Coulon captured the vacant world bantamweight crown when he defeated England's Jim Kendrick in 19 rounds. He defended the title against Earl Denning, Frankie Conley, Frankie Burns and Kid Williams. He finally lost the crown in 1914 when Williams stopped him in the third round. Coulon served in the U.S. Army during World War I, often instructing soldiers on how to fight. He boxed twice after his service stint and retired from the ring in 1920. He opened a gym in Chicago and worked with young fighters. 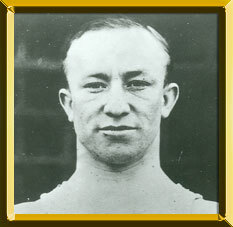 Coulon met three Hall of Famers in his career: Kid Williams, Pete Herman and Charley Goldman, who is best known for training Rocky Marciano.